Breathe deeper, more slowly, expanding. I could continue for a while yet and what we’d find is that we’re capable of deepening our breathing. It’s just a little picture for us of how there is more to us than we first thought, that often we stop inside the bounds before we push them, before we leap beyond them. Worlds within waiting to be discovered as we find ways to explore them. And then theworlds we are for each other, too. 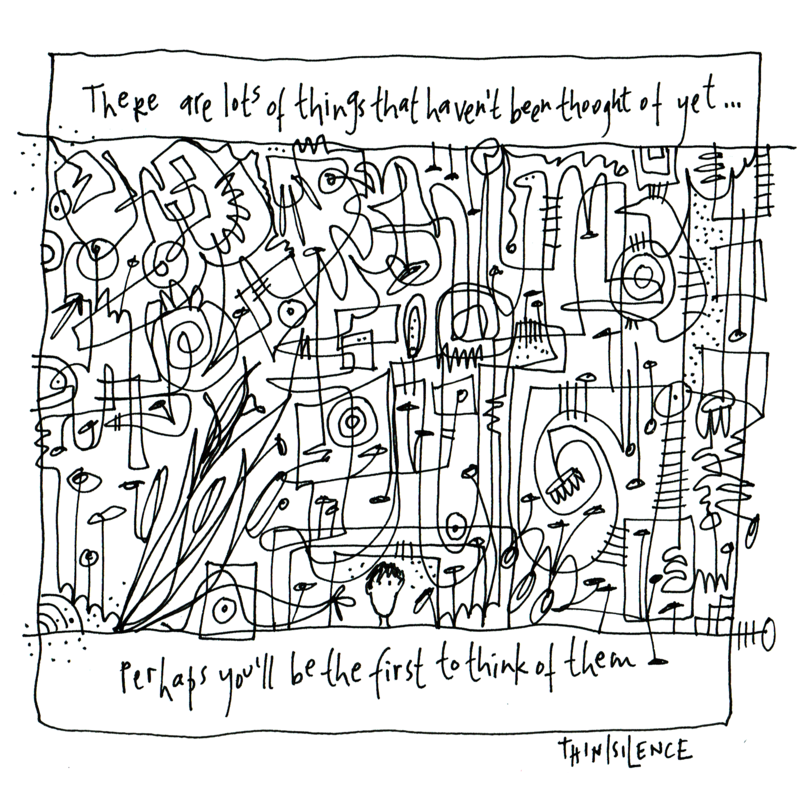 It’s all about the adventure, baby (blog) by gapingvoid. The Power of Myth by Joseph Campbell and Bill Moyers.